Booing is as polarizing a topic as any in the battle that is "True Fandom." Any time the booing starts - particularly if it starts during, say, Game 5 of the Pens/Rangers Stanley Cup Playoffs series - observers either take delight or great offense, depending on their own perspective. The oft forgotten and negated concept of perspective that is ignored merely for the sake of labeling good and evil, heroes and villains, true fans and bandwagon jumpers. interjection - used to express contempt or disapprobation or to startle or frighten. noun (plural: boos) - an exclamation of contempt or disapproval: a loud boo from the bleachers. 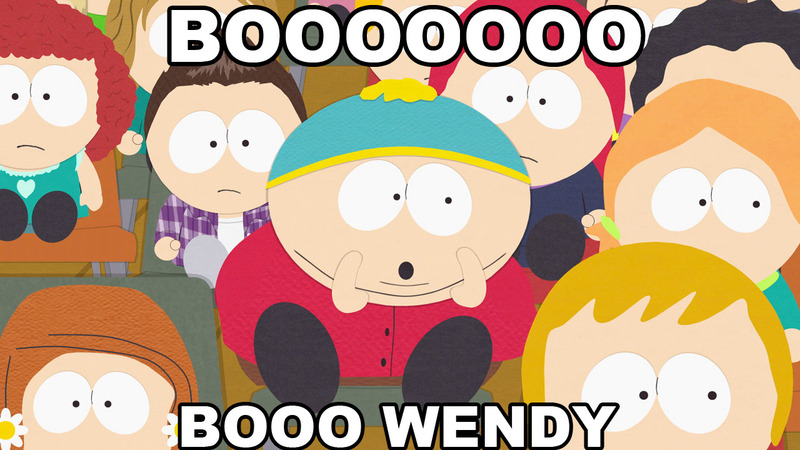 verb (used with object: booed, boo·ing) - to show disapproval of by booing. In reality, knowing the definition gets us nowhere. Or does it. You've got three distinctly different definitions for what is essentially a simple concept. And in those definitions, a range of emotions that encompasses both the aggressive "contempt" and the passive "disapproval." If you mention booing to a sports fan, they are likely to only consider booing in terms of sports. Just as likely, they will cite Philadelphia Eagles' fans infamous 1968 Santa Claus incident. But think of it this way: The Flyers have won two Stanley Cups since Santa was booed. Think how irrelevant those two Cups are in any argument about the current Flyers squad. In reality, that was hardly the first time booing has taken place, had little to do with Santa Claus, and certainly has not been the last time we've seen/heard "the Boo Birds." Booing has taken place throughout history, with the first recorded example taking place in ancient Greece, according to Sonia Smith of Slate Magazine. Cheering and booing then were used as methods of determining what playwright would win Best Tragedy at a festival honoring the god Dionysus. Fast forward several millennia and you will catch a glimpse of booing in many formats and contexts, from public protests to gladiatorial events. You'll even find booing viewed as a necessary duty by some cultures. So booing is ingrained into the very fiber of our beings. It's evolved over millennia of usage. To see it in sports is as natural as breathing itself. That is what makes the fascination with the topic so ..... fascinating. Knowing a little bit about booing and its history is only the beginning of understanding it, though. In the Van Hiele model of structured understanding, largely used in mathematics, this would fall under Levels 0 and 1, known generally as Visualization and Analysis. We recognize the booing when we see it and we can describe the qualities of it. The youngest of children are capable of this level of thought and understanding. Amazingly, it is somewhere between these two levels that the breakdown in the argument of whether booing is considered an acceptable behavior occurs. The interjection of emotion takes over. Possessive tribalism meets the unapologetic desire to express one's discontent. The opposite side of where an individual stands is considered the unreasonable reaction. The "reasonable" thinker, however, still needs to continue the thought process. Level 2 of the Van Hiele model requires more in-depth thinking and is still pretty simple, yet in the just-as-simple context of "booing," gets completely lost. This level requires only the ability to think about a concept in its most abstract form. In geometry, it entails asking whether an equilateral can be a rectangle. Contextually, it would be used to answer the question of whether it's possible to be a fan of a team and still boo that team. This level of thought is reached by understanding the definitions and properties of what is being examined. To determine whether a fan of a team can also boo that team, it is necessary not only to define what booing is, as we did earlier. Additionally, one must consider the parameters of what a fan is, which is every bit, if not more, fluid than the above stated definition of booing. At Level 3, an understanding of why something happens takes place. Scientifically, this process is fairly simple once you have a grasp on the basics of the subject matter. So why would fans boo their favorite team? Unfortunately, there is no exact science to that. At least no hard science. Instead, the answer is probably a mix of Psychology and Economics. Psychology probably makes sense to most readers given the tribalistic nature of team sports and the emotional toil fans go through watching their team's trials and tribulations. But Economics? Of course, Economics. The Freakonomics crew examined this subject. Give it a listen HERE. As I've stated numerous times in numerous formats with Pens Initiative, the grossest misconception with Economics is that it has to deal with money. In reality, every action, every relationship we have is an economic one. Even booing. People who boo have weighed a number of factors into that decision even if subconsciously: unhappiness, social costs, expectations, financial investments, so on and so on. The value placed on each and every one of these aspects - and any others that I may have neglected to mention because maybe a team's jersey color has an impact on the decision, or an achy back, or an unfortunate nacho spill has ruined part of the experience - is different for everybody. People who boo have simply seen their disappointment exceed their individual point of equilibrium. Economics. Psychologically, the benefits to booing are debatable. Because psychology, again, is not pure science. Some argue that there is value in the act of booing, possibly even health benefits as it relieves the stress of an immediately held strong emotion. Others, like Xavier psychology professor Christian End, argue that booing in an arena filled with throngs of unhappy people is more the result of social pressures and the need to fit in. Psychology. Students understand that definitions are arbitrary and need not actually refer to any concrete realization. Arbitrary definitions that don't necessarily need or allow for a concrete solution. That sums up the question of whether or not fans have the right to boo pretty solidly. Congratulations! You've made it to the End! The social "need" to define a "true fan" - whatever that is - reaches beyond the 18,387-seat Consol Energy Center and into the countless throng that is social media. Critics of those booing will say that booing is a sign of "bandwagonners" or "entitlement," "being spoiled," "a knee jerk reaction," "extremism," "neglectful or blatant disregard for recent successes" or any other number of names or labels and they may have a point. The people booing may consider those not sharing the same sentiment as "apologists," "cathartic," "apathetic," "not invested," "too hung up on the past" or any number of a separate list of names or labels. And they may have a point. And when is it okay to boo? Truthfully, there's no authority on that either. Arbitrary definitions. It's all relative. Maybe, ya'll should be booing yourself! Whether or not booing is your "thing" does not make you right or wrong. There is no right answer to how booing affects your status as a fan or that of anybody else. In fact, ridiculing somebody else's decision on whether or not to boo is, all things considered, the only wrong choice in that matter.